The exhibition explores the roles of key individuals, public education campaigns and cutting edge research, as well as the personal responses of cancer sufferers through the work of contemporary artists diagnosed with the disease. It draws on the collections of the Medical History Museum, the Harry Brookes Allen Museum of Anatomy and Pathology, University of Melbourne Archives, Cancer Council Victoria, and other major collections. Professor Joseph A Trapani – Executive Director of Cancer Research, Peter MacCallum Cancer Centre and Head of the Cancer Immunology Program and Cancer Cell Death Laboratory – officially launched the exhibition and its catalogue, which was generously supported by the Walter and Eliza Hall Institute of Medical Research. 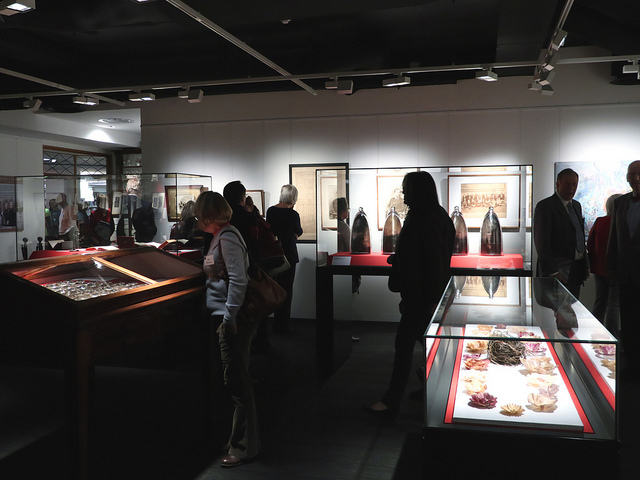 The refurbished space – with contemporary display cases, specialist museum lighting and greater integration of the Medical History Museum collection within the Brownless Biomedical Library – enhances the museum's capacity to tell stories through its exhibition program that covers themes linking scientific discovery with society and culture. The new physical structure allows closer integration with student study spaces, bringing the collection closer to our students. The Medical History Museum’s refurbishment was generously funded by Miss Denise de Gruchy.